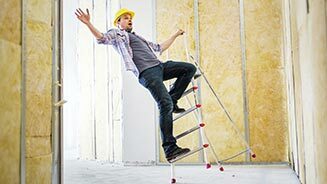 Slip and fall injuries are all too common. As personal injury lawyers, we see the consequences of other people’s negligence regularly. Wet and slippery conditions on driveways, stairs, sidewalks, and parking lots can create hazardous conditions for pedestrians. Not all slip and falls take place out of doors, though, and trying to navigate floors, stairs and escalators while visiting a store, business or a friend’s home can prove dangerous. 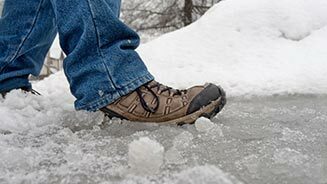 Slip and fall injuries can be attributed to snow and/or ice in colder months. Other common causes of slip and fall injuries include wet conditions, poor lighting or uneven walking surfaces. Objects left in pedestrian areas can also lead to injuries. The first one is to get prompt medical attention. You may not know the full extent of your injuries right away, since a slip and fall injury can result in conditions, such as Chronic Pain Syndrome and fibromyalgia, which result in ongoing health concerns. The second thing you need to do is to contact a slip and fall lawyer immediately. Depending on whether the injury occurred on public or private property, the time for making a claim is limited. 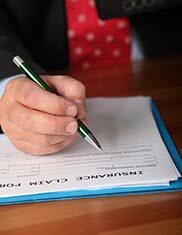 Contacting a personal injury law specialist will help to ensure that you don’t forfeit your right to seek compensation for your pain and suffering, medical expenses and lost wages.